precisely fitted connections.The connections allow each pole to be modified according to height and antenna configurations. 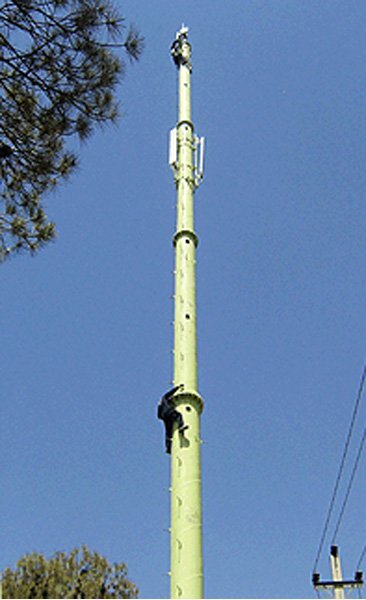 Various transmissible and microwave antennas can be connected to the pole. Monopoles are most economical for heights under 180' (55m) and are a viable solution for space limitation problems & rigid zoning codes. Welding complies with CWB or AWS standards. All members are H.D. Galvanized. Each structure can be designed to support various antenna loads, wind & ice factors, and to CSA-S37 or EIA-222 latest revisions. Metric or Imperial systems are also adaptable.